I've got some stale hot dog buns and an apple in my fridge and since lunch is a simple one today, dessert will be nice to come along. 1. Buttered sliced buns on both sides & arrange in a greased heat-proof casserole. Sprinkle brown sugar & pour in half of egg & milk mixture. Sprinkle half of chopped apple & raisins. Repeat with another layer of bread, sugar, milk mixture, apple & raisins. Lastly sprinkle cornflakes on top. 2. Bake at 180C for 45 minutes. 3. Serve warm with custard sauce. NOTE: Consume this dessert right away and not encouraged to keep long as cornflakes can turn soft easily. Lunch today more towards children's favourite as they wanted something other than rice & dishes. Menu : Instant sausage Pizzas, Grilled Honey Chicken and French Fries. Dessert: Apple Bread Pudding (see next post). 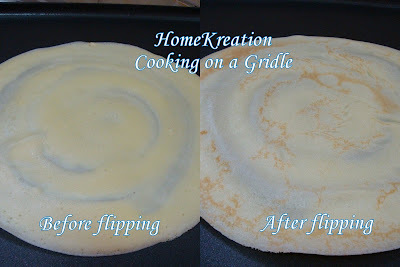 Crepes or thin pancakes are called Lempeng in Malay. Since I have leftover fish curry from last night dinner, I thought crepes will be nice and healthier than Roti Canai. It is also a lot simpler & quicker to make anyway. It is soft in texture and you will love it! 2. Heat up a griddle & wipe surface with oil. Pour a scoop of batter & spread thinly. Cook until the edge curled up a bit & flip. Cook the other side for 1 minute. Repeat until all batter used up. 3. 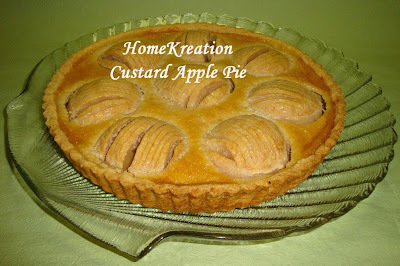 Serve with savoury or sweet filling of your choice. I dipped my crepes with curry ....emmmh delicious! 1. Heat oven to 350°F. Grease bottom only of 8 x 8 inch square baking pan. Set aside. 2. Melt butter and chocolate in a saucepan over low heat, stirring occasionally, until smooth (4 to 7 minutes). Remove from heat. 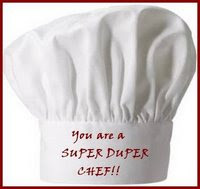 Add flour, baking powder and salt; mix just until all ingredients are moistened and brownie mixture is smooth. Spread brownie mixture into prepared baking pan. 3. For the topping beat the cheese, egg and sugar until smooth. Dollop the cream cheese mixture on top of the brownie batter. Swirl together using a knife or skewer. 4. Bake for 25 to 33 minutes or until brownies just begin to pull away from sides of pan. Cool completely and then cut into bars and serve. 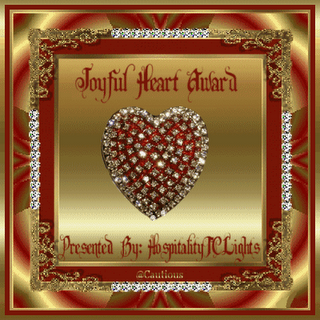 More awards from Inahar and Zana, such sweet friends just like the above strawberry award... I can only return both of you lots of hugs and mmmuah, mmuah, mmuah....xxxx. 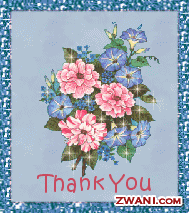 Thank-you for the friendship... really appreciated...lebiu! 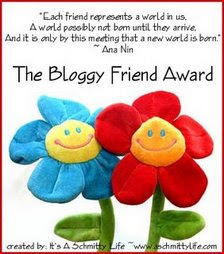 I dedicate these awards to all my blog friends in my list. 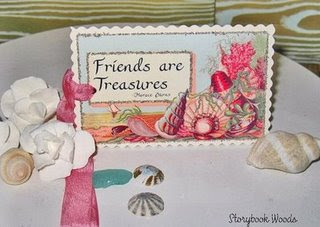 Please bring back as friendship memory from me. Mmmmmuah! Tekak ku rasa nya kepingin nak makan something kelainan, tak nak kuah2 tapi ada flavour yg sedap gitu.... isyk ikut je selera ni... taraaa... ini lah jadi nya... sedap you...! 1. Rub chicken with salt & turmeric powder & deep fry. 2. Heat up oil & fry sliced onions until golden & dish up. Add in Kurma paste & stir until fragrant. Add in Kerisk, chicken, potato, tomato & fried onions. 3. Dish up & serve with rice. My Tapai is now ready after 2 days fermentation. Alhamdulillah, it turned out to be very sweet & juicy. This sometimes based on luck I guess as the old folks have many "pantang" (prohibition in behaviour, etc) while making this as they believe it can influence the result. Although I don't quite believe in those, I just simply obey.... My mum must be proud of me as I inherit the skill from her...hehehe. 1. Soak glutinous rice for 4-5 hours. 2. Mix the glutinous rice with sugar & yeast. Sprinkle with water to prevent lumps and sticky. Shape into small balls & place in a container. 3. Wrap & keep in a dark place for 48 hours. It is ready when it becomes watery. 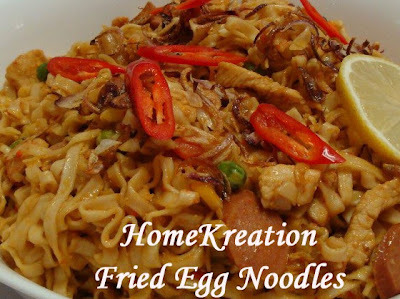 Recipe from MyR by NisaMPB. Copy paste here (anyone needs translation, please shout). 1. Campurkan semua adunan untuk lapisan bawah. Panaskan kukusan pada api sederhana hingga air mendidih lalu letak loyang berukuran 8" bulat ber-griskan sedikit minyak. Tuang adunan untuk lapisan bawah pada loyang tadi & kukus selama 10-15 min. 2. Di mangkuk lain, campurkan santan, garam & gula hingga sebati. Masukkan tepung beras & bahan2 lainnya. Gaul hingga sebati & tidak berbentil2; tapiskan. Tuang adunan ini keatas lapisan bawah. Tutup semula kukusan tadi & kukus lagi selama 10-15 min atau hingga masak. 3. Alihkan untuk disejukkan & potong. Gunakan pisau plastik & sapu sedikit minyak untuk memotong supaya tidak melekat. 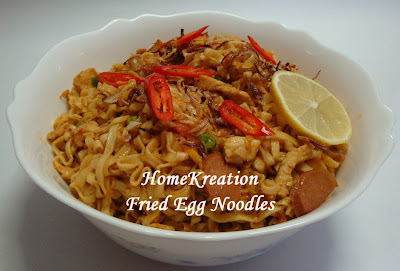 There was leftofer yam stalks from the other day, so I cook this quick & easy kampung dish. Went well with fried fish & Sambal Belacan...! 1. Boil yam stalks until soft & drain. 2. Place all ingredients in a pot & boil. Balance the salt, sugar & tamarind. My husband bought a piece of frozen Cod and I thought broil it in a pan will be suitable. 1. Melt butter in a non-stick pan. Saute Onion & Garlic until soft. Add in paprika & chilli powder. Add in salt & lemon juice. 2. Brush fish with paprika mixture & broil each side for 4-5 minutes until it flakes easily. Alternatively, cook in a non-stick pan above small medium fire which gives the same result. Senang je nak buat ni, macam buat Goreng Pisang gak. Resipi kat sini. A packet of dried Bubur Ca Ca bits that I bought from my hometown have been sitting in my storage cabinet for a couple of months already. It is time to put it to disposal since I found some sweet potato & yam in the market. 1. Boil Bubur Ca Ca bits until soft & drain. 2. Boil sweet potato & yam, separately, until soft & drain. 3. Place all ingredients in a pot & boil. I rarely cook Gulai Lemak (spicy coconut milk broth) as my husband is not a great fan of it. However, I was craving for Yam Stalk cooked in Chili Padi Lemak (Gulai Lemak is very common dish in Perak). 1. Boil yam stalk until soft & drain. 2. Place all in a pot & cook until boiled. Stirring all the time to prevent coconut milk from curdling. These lovely gifts are from my sweet friend Inahar. 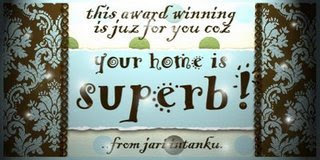 Thanks so much dear for your thought. Hug-hug-hug & mmmmuah! Untuk kawan-kawan yang singgah di sini, sila lah ambil gifts ni ikhlas dari Along. Mmmuah! Lebiu all. Salam perkenalan & persahabatan dari Ros dari Tokyo & begitu juga dari Along. 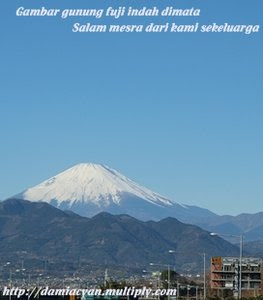 Gambar tu ialah Gunung Fuji. Really appreciate and thanks so much Ros.... hug-hug-hug & mmmuah! Young jackfruit & chicken cooked in curry broth - another kampung dish from northern Semenanjung. 1. Place all ingredients in a pot except fried shallots & garlic. Boil until chicken is cooked. Add in fried shallots & garlic. 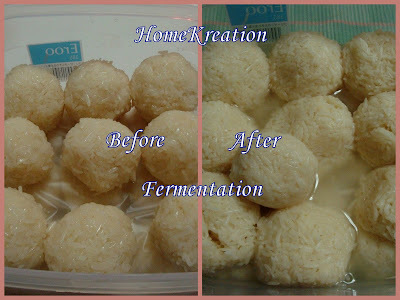 Boil some dried Longan under slow heat until the fruits are soften. Mula2 nampak kat umah Hana, pas tu tengok2 kat MR, ramai dah yg mencuba resipi Onigiri ni. Along pun tak sabo2 petang td start le projek.... tapi roti tu terlebih kembang sampai merekah lah pulak... tapi rasa nya memang sedap. 1. masukkan semua bahan kecuali serbuk koko, uli sampai tak melekat pada jari. kalau ade BM tekan On je. Mix all ingredients together & knead until smooth. 2. Perap doh selama 40minit. Rest for 40 min. Kemudian tumbuk-tumbukkan doh tadi, keluarkan angin. Punch & knead the dough. 3. Bahagi doh pada tiga bahagian. Divide into 3 parts. Satu bahagian masukkan bacuhan koko tadi, kalau telembik buleh tambah sedikit tepung dan uli macam biasa. Add one part with cocoa paste until well mixed. Pastikan adunan betul betul sebati & warna sekata untuk doh coklat tu. 4. Satukan doh yang baki tadi dan terap memanjang. Letakkan doh coklat di tengah-tengah. Roll the plain dough & the chocolate dough. 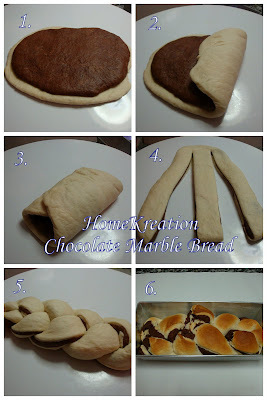 Place the cocoa dough on top like picture 1 below. 5. Potong tiga adunan dan anyam bentuk tocang. Shape as shown in the pictures. 6. Letak dlm sandwich loaf & biarkan naik dua kali ganda. Place in a tin & rest til doubled. Bakar pada suhu 160C selama 25 minit atau hingga permukaan nya perang. Bake at 160C for 25 min. Sejukkan atas redai. Cool it on a rack. 1. Hest up few tbsp oil & fry pounded ingredients*. Add in chilli paste & fry till fragrant. Add in squid, onion rings & soya sauce. Stir for a while just until squids are cooked. Do not overcook otherwise the squids get tough. 2. Dish up & serve with rice. 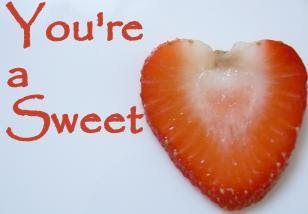 Made this specially for Valentine's Day. Happy Valentine to my Valentine partner (my hb lah.... ). I also received a surprise bunch of flowers from him first thing this morning....MMMMuahh..! I love you darling..... hehehe (yang baca ni jangan jeles eh....) . Kepada semua teman-teman cyber ku..... Selamat menyambut Valentine Day dgn hubby masing2, semuga bahagia selalu....! 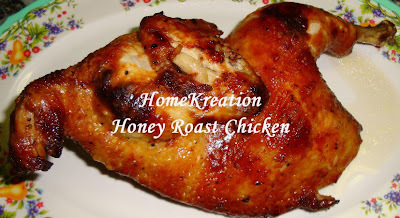 Rub chicken with salt, chilli powder, oyster sauce, honey & ginger juice. Bake at 250C until done (about 1 hour). Flip the chicken once after 30 minutes. Wow hebat.... empat hadiah sekali gus...! Gembira nya tak terkata apabila 3 kawan2 Along - Inahar, Kak Ummi dan Zana; kasi friendship appreciation ni... Terima kasih lah sebab ingat kat Along ni ya (tambahan pulak sekarang ni dok tenggelam-timbul....hehehe). Love you all, mmmmmmmuuuuuahhhhhh! Hug-hug-hug! mmmuah, mmmuah! Along nak kasi award ni untuk semua kekawan yg dalam list Along tu. Kalau belum ada lagi award ni, amik tau. Made this yesterday as Cap Goh Mei gift to my friend SH. Hope she has an enjoyable CGM dinner tonite with her relatives. Recipe was posted earlier here. 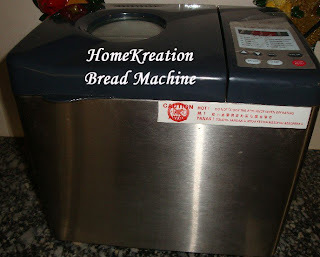 Here showing off my bread machine.... By the way, the bread machine has been serving me & family since 2006 (should give it some award for hardworking kitchen equipment....hehe). If you ask for my advice, I say it worths every single cent! 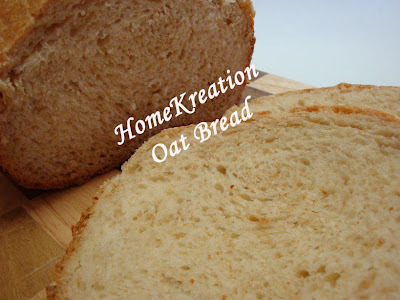 Here is a healthy recipe extracted from the free recipe book supplied along the bread machine . If you don't tell others, they would think this is wholemeal bread as hard to tell the difference. 1. 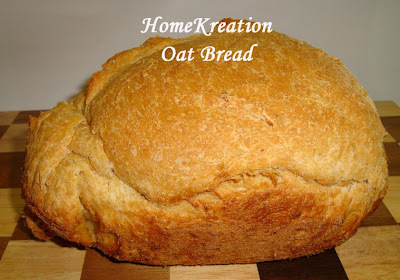 Place all ingredients in a bread maker. 2. 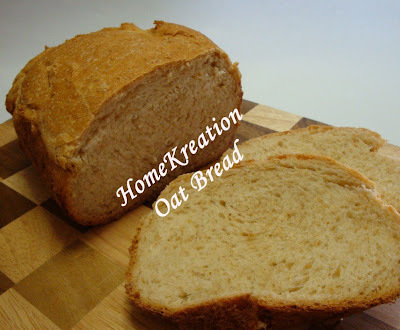 Set for basic bread & let it process until cooked. 3. Serve with your favourite sweet/savoury spread. 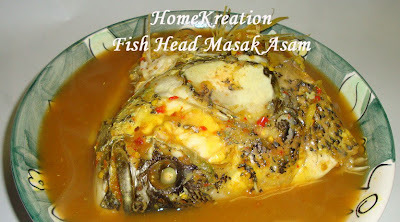 I bought whole big fish from the market & reserved the head for Masak Asam (translated as sweet sour stew).... loved this dish....mmmmmh delicious.....! Recipe was posted earlier here. 1. Heat up few tbsp oil & fry pounded ingredients until fragrant. Add in sausages & chicken & stir for a while. Add in all the sauces, salt, MSG & mixed veg. Break in the egg & stir for few minutes. Add in noodles & stir until well mixed & cooked. 2. Serve with fried shallots, sliced chillies & lemon.